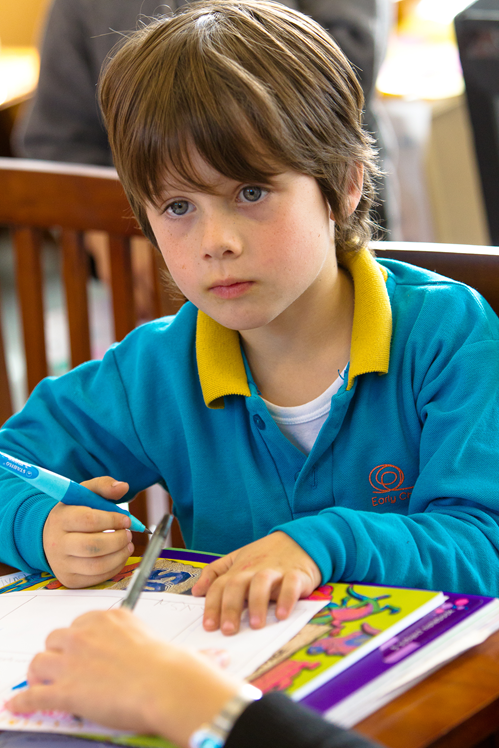 Starting primary school is an important, but potentially stressful, time in a child’s development. Kay Margetts, Associate Professor of Early Childhood Studies at the Melbourne Graduate School of Education, talks about children’s social, emotional and behavioural adjustment to school and the importance of early preparation by families for the best outcomes. How strong is the link between adjustment to school and children’s mental health and wellbeing? Effective adjustment to school depends on children possessing a range of skills and behaviours (social, emotional/behavioural and academic skills) that help them adapt to and participate in the school environment. Children with good emotional wellbeing are more likely to feel secure, relaxed and comfortable in the new environment and have more positive attitudes about school and learning. Adjustment to school is influenced by a combination of the child’s personal characteristics, their experiences, and the interconnections between home, preschool and school. How well a child makes the adjustment to school can have implications for their ongoing social, emotional/behavioural and academic progress. How do we know when children have or have not settled into school well? Children who are adjusting well have a sense of belonging to the new school – they feel comfortable, secure and relaxed rather than anxious, fearful or upset. They listen to and follow instructions, interact well with others, share and take turns, cope with normal day-to-day conflicts and are able to manage their feelings and emotions appropriately. They are interested in learning and are motivated to take part in school activities. How valuable is early preparation for school? How well a child is prepared for the demands of school life can have implications for their overall adjustment to school. Familiarity with the school is very important for children and their families in easing the stress of starting school and building a sense of confidence in the new environment. 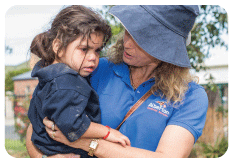 As it can be difficult to predict how well a child will adjust ­– particularly emotionally and behaviourally – participation in a comprehensive transition to school program is vital for all children and their families. This should involve at least four or five visits to the school in the months before the new school year begins. These visits also help teachers gain information about children’s development and previous experiences, and identify how to best support each child. For children who have additional needs, meetings between families, teachers and preschool educators can be helpful in identifying support strategies. To what degree can parents’ and carers’ anxieties or feelings affect a child’s adjustment to school? Children are very sensitive to their parents’ or carers’ stress, anxieties and attitudes about school. If an adult is stressed about their child starting school, it is more likely that the child will also be stressed or have difficulties adjusting to school. It is important that parents and carers are positive about school and, at the same time, honest and reassuring when answering their child’s questions. When schools provide comprehensive transition programs, families have opportunities to gain information about the school and feel more comfortable that their children will be well looked after. It is particularly important that parents who have had a bad experience of school do not pass on negative feelings to their child or assume that their child will also have a bad experience. 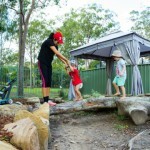 What can health and community professionals do to support schools, early childhood education and care (ECEC) services and families in the transition to school? Health and community professionals should understand the importance of transition and adjustment to school for each child and their family. Health and community workers can visit local schools to find out the range of transition programs available and to advocate for children and families who might need additional support. They could even contact ECEC services and schools and offer to run transition to school information sessions for families using the KidsMatter Starting School resources. 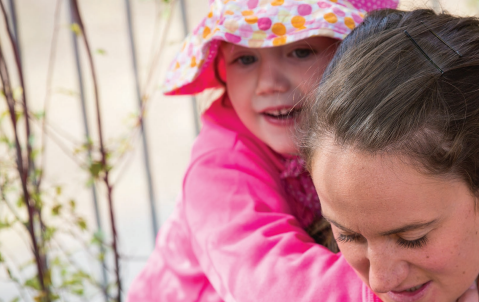 Health and community professionals have an important role in helping schools, ECEC services and parents and carers understand and support children’s emotional wellbeing and resilience during this important stage of their lives. This article was originally published on Kidsmatter – Schools. 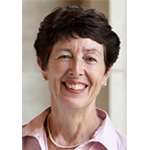 Associate Professor Kay Margetts lectures in early childhood and primary teacher education, the Melbourne graduate School of Education, The University of Melbourne. Prior to entering academia she was Project Officer - Inservice and Professional Development Programs at the Lady Gowrie Child Centre, writer and producer of children's television programs, and a preschool teacher working in both sessional and long day programs.